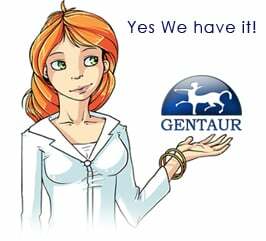 Gentaur antibody-antibodies.com The Marketplace for Antibodies : A cellular gene encodes scrapie PrP 27-30 protein. A cellular gene encodes scrapie PrP 27-30 protein. A clone encoding PrP 27-30, the major protein in purified preparations of scrapie agent, was selected from a scrapie-infected hamster brain cDNA library by oligonucleotide probes corresponding to the N terminus of the protein. Southern blotting with PrP cDNA revealed a single gene with the same restriction patterns in normal and scrapie-infected brain DNA. A single PrP-related gene was also detected in murine and human DNA. PrP-related mRNA was found at similar levels in normal and scrapie-infected hamster brain, as well as in many other normal tissues. Using antisera against PrP 27-30, a PrP-related protein was detected in crude extracts of infected brain and to a lesser extent in extracts of normal brain. Proteinase K digestion yielded PrP 27-30 in infected brain extract, but completely degraded the PrP-related protein in normal brain extract. No PrP-related nucleic acids were found in purified preparations of scrapie prions, indicating that PrP 27-30 is not encoded by a nucleic acid carried within the infectious particles. Scrapie and cellular PrP isoforms are encoded by the same chromosomal gene.